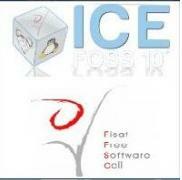 A national meet ” ICE-FOSS ’10” is being held at Federal Institute of Science and Technology, Angamaly from April 19th-21st, 2010. Free and Open Source Software(FOSS) is a software that is liberally licensed to grant the right of users to study,modify and update its design through the availability of its source code. The meeting will be inaugurated by K Anvar Sadath, Executive Director of IT@School Project. Talks shall be held ‘ on topics ‘Why/Free Open Document Standards is Mandatory and not an Option’ by Dr. Nagarjuna G, Chairman of Free Software Foundation of India; ‘Open Source in Education and Beyond’ by V K Adarsh; ‘FOSS, GNU & Ethics’ by Amarnath Raja, CEO of InApp, Technopark. There will also be Kernel Programming by Ciju Rajan. Free software based projects executed by FISAT students will be displayed during the conference.